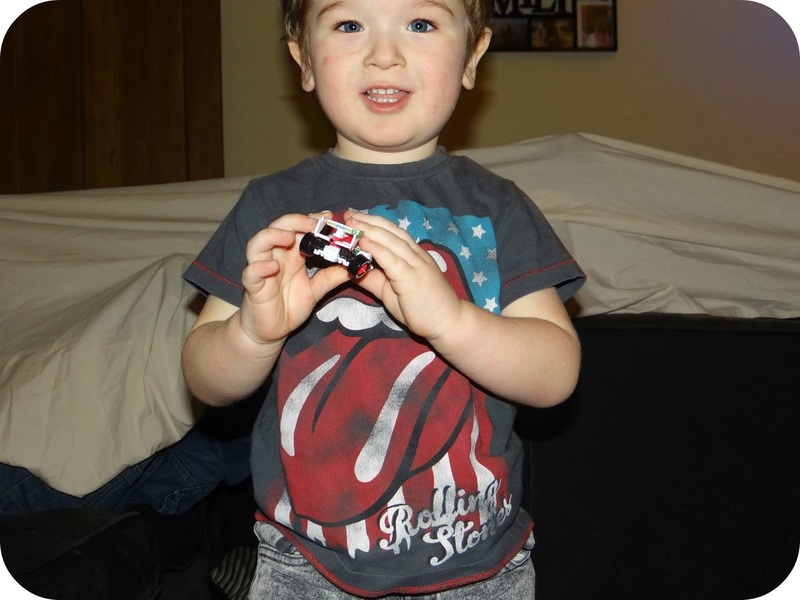 The months seem to be coming around faster, and each month see’s you getting that little bit closer to turning 3 years old. On the 27th March you will be exactly 3 months away from yet another birthday, and I still cannot get my head around where the time keeps on going. At 32 months old you have been practicing your words all the time. You have been repeating things you hear on the television and from your favourite films. I have heard you talking about ‘Rusteeze’ the imaginary company who sponsor Lightning McQueen in Cars, and then hearing you in the next breath ‘you too, can look like… Meeee!’. You copy the things you’re electronic toys say, and you are listening to the conversations around you. You were copying me the other morning before I even knew you were awake, you heard me talking to your Daddy and started chattering down the baby monitor at me, copying me word for word and looking incredibly proud of yourself. Today after a prompt morning bath, I was getting you ready for the day ahead. I asked you if you were cold and you replied 'I not cold Mumma'. 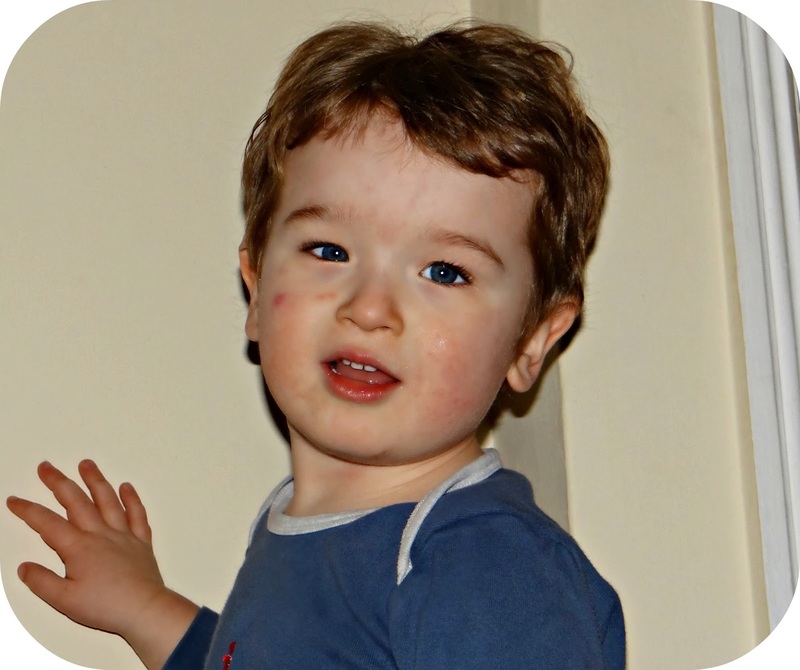 You are using your manners more consistently without having to be prompted all of the time, and if I ask you a question you usually respond with either ‘Yes please Mummy’ or ‘No thank you Mummy’ which always brings a smile to my face. When I tuck you into bed at night you say ‘Night night’ ‘love you’ ‘see you tomorrow’, you are always coming out with something new, and I am loving hearing all of your new words and sentences. With each new thing that you say, I still get incredibly excited. You are talking later than many 2 year olds but are developing all of the time. You are getting there and being able to put your points across more as the months go on, it was only this week that you managed to convince nursery that you were poorly so that they sent you home. You told them that you ‘hurt’ and they decided that you were under the weather and were concerned that you may have the chicken pox. Recently your love for nursery has died down and you would much rather not go, you cry on a Monday when we get your things together and you cry when Granny drops you off. 9 times out of 10 you are fine within minutes of Granny leaving but your overall excitement has fizzled out. We are still waiting to see if the spots that you do have could be chicken pox, but they haven’t spread any further and if anything they look as though they may already be fading. 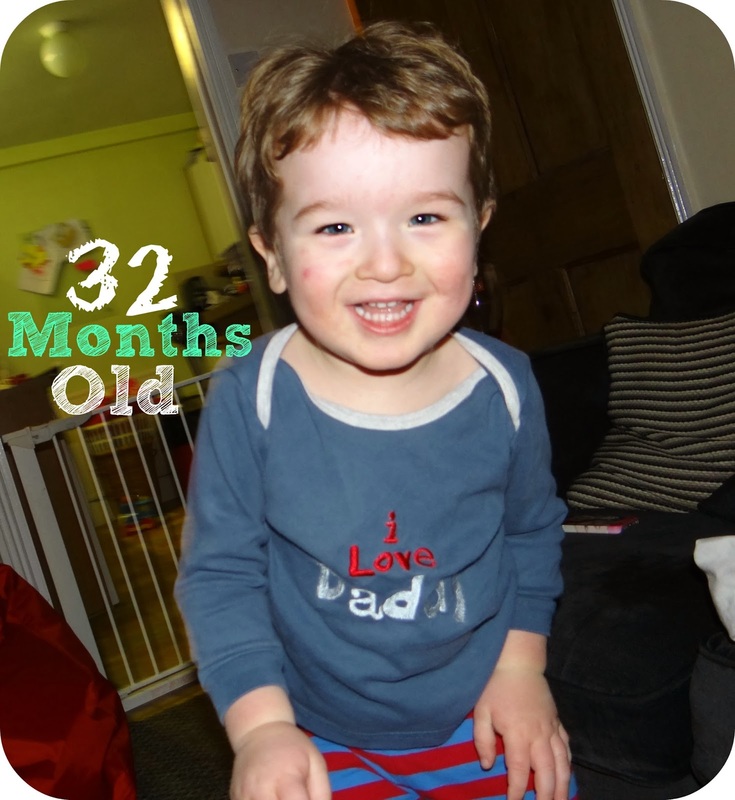 32 months has seen you being as much fun as ever, you have laughed, played and had a good time. You love to draw and we often sit and get creative with all of your colouring pencils, you draw trains and I draw whatever pops into my mind…and then you help me colour our doodles in. All of a sudden you have taken to taking your favourite toys to bed with you, and very often you fall asleep surrounded among all of your favourite things. I have to sneak back in and take them all back out again. You have completely stopped having your bottle and because you adjusted so well, and completely lead the transition, I threw all of your bottles in the bin on the 23rd February 2014, 4 days before your 32nd month. I still feel really pleased with how you have taken this change, and waiting until you were 100% ready is what made the whole process so much easier. To anyone who knew you only a few months ago, and saw how reliant you were on your blanket and your bottle, they know how far you have come since then. In terms of naps little man, you are still having one long nap a day. 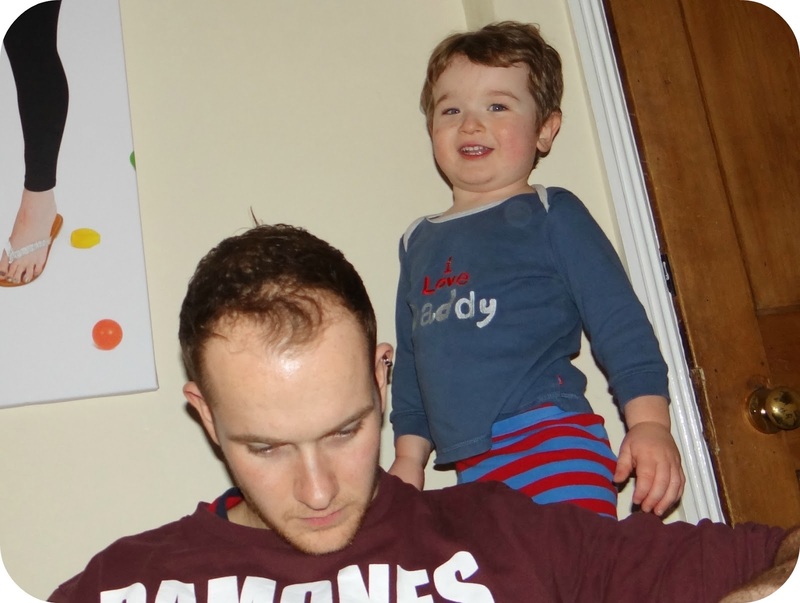 You still really need a lengthy sleep or you are the most miserable toddler come dinner time. I love that you still nap as much as you do, but I am wondering how much longer it will last. For the moment though you love getting into bed mid morning for a few hours shut eye. Today I woke up feeling really under the weather. My head was pounding and my skin was aching. I suddenly had a cough and my voice was in the midst of a disappearing act. You accepted that I wasn't feeling great and you kept on kissing me on the head. You contently played with your cars while I wrapped myself up on the sofa. You were being so affectionate and I really appreciated you letting me have the day to get over whatever it was that was making me feel so rough. Month by month you are growing from a beautiful toddler into a beautiful boy, and with each month that passes I can't help but smile. I smile because you are turning into the most charming little guy, and you always manage to put a big smile on my face.